Palm Beach Resident Tim Gannon is launching a new and unique dining experience that be available for a Palm Beach town, it just isn’t ours. It will open in Royal Palm Beach next month. Bolay, a build-your-own salad bowl style of restaurant, will be opening in early February 2016. 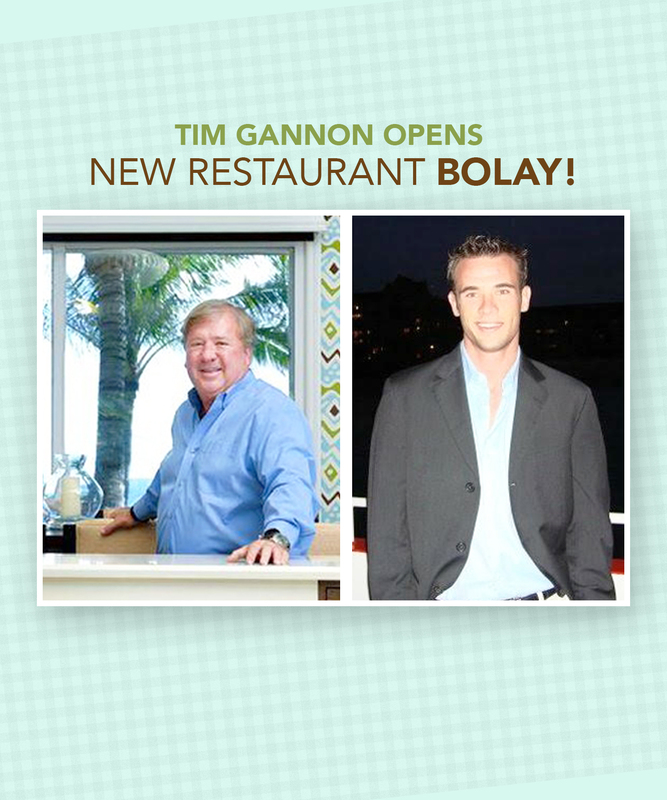 Bolay’s creators Chef Tim Gannon of Palm Beach, Outback Steakhouse co-founder, and his son Chris Gannon are aiming for a “perfect combination of millennial thinking and processes’ in regards to food and technology paired with old school hospitality mentality” with the opening of the new restaurant. It will be a dining experience sure to live up to Palm Beach expectations. Chris said that he and his father’s inspiration came from the cultural shift in the food movement. People are increasingly more aware of what is going into their bodies. For now, the main goal for Bolay is to be an amazing restaurant that will exceed customers’ expectations. As for the future, Chris says that the customers will let him know when they are doing well and ready for expansion. For him and his father, it is about what the customers want and need. Bolay Wellington is hiring now. You can follow the restaurant’s journey on Facebook and Instagram at EatBolay.